In Pakistan, developmental disorders including intellectual disabilities and autism affect over 7% of children — 4.3 million in total — almost all of them untreated due to discrimination, poor awareness of the medical need among family members and front line health-providers, and the lack of specialist services especially outside of urban centres. The Human Development Research Foundation (HDRF), one of Pakistan’s most active development and health organizations, designed the Family Networks for Kids (FaNs) to help parents recognize and help their children cope with mental illness challenges. The programs organizes and trains family volunteers — called “champions” — to provide help to their own children and to those within their network of five to seven families. Champions provide training and care via a tablet-based, Avatar-assisted Cascade Training (ACT) system that contains interactive, intuitive modules with story-telling avatars based on the World Health Organization’s (WHO) mental health Gap Action Plan (mhGAP). Wireless phone-based technology supports the program in many other ways as well. Initially, family members dial into an Interactive Voice Response (IVR) system to answer questions that help identify a child likely to have a developmental disorder, reducing the need to travel to a doctor or to wait for a health worker’s visit. With a $768,000 CDN Grand Challenges Canada grant in 2012, a study of FaNs within a rural population of 30,000 people successfully developed technology-assisted identification, training and intervention-delivery solutions, trained 17 family champions, screened over 2,500 children and identified 70 affected families. A study, published in the journal Pediatrics, compared the phone system with a house-to-house survey using the same questions and found it successfully identified 92 out of 109 (84.4%) children under 10 years old with developmental disorders. The cost of screening per child: US $7.00 door-to-door vs. $0.07 using the phone system. After the interventions, the study showed clinically meaningful improvements in participating child global disability scores, understanding and communication, getting around/mobility, self-care, engagement in school and non-school activities, participation in society, and less stigma. With its transition-to-scale funding, HDRF will roll out the program to train 300 champions and screen more than 27,000 families for developmental disorders, with expectations that 3,000 children and adolescents will be treated and helped to improve functioning with fewer emotional and behavioural problems. An HDRF partner, Autism Speaks, shares with the World Health Organization an interest in the roll-out of this task-shifting model — training parents and family members rather than lay health workers. 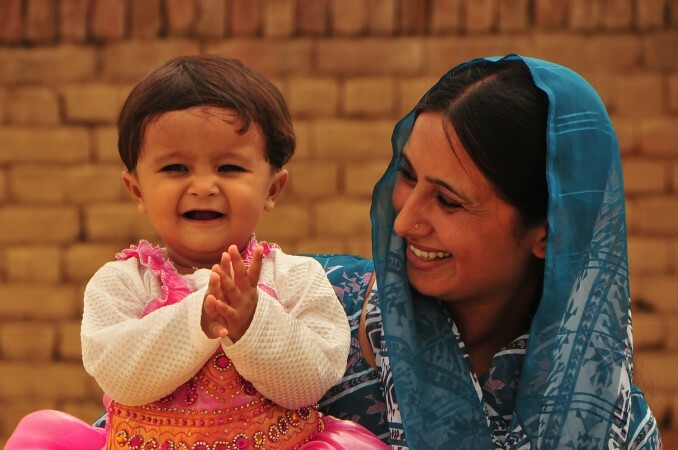 HDRF is also collaborating with World Vision Pakistan (WVP) and Pakistan’s Federal Ministry of National Health Services (MOH), which will closely follow outcomes to assess the model’s feasibility for wider adoption.